Kudzu was introduced to the U.S. as a forage crop for cattle in the 1930’s6. While the plant currently has a limited distribution in the western United States, this is an invader to keep a close eye on. With a growth rate of a foot per day5, it’s one of the fastest growing plants in the world. It smothers everything it grows on including large trees and, as the American South can testify, it is able to cover vast areas seemingly overnight. Luckily, most of the plant is edible. Stems, leaves, flowers and starch from the root are all used in cooking. In Asia the flowers and roots are used medicinally5. The flowers are also quite beautiful, but don’t let this plant fool you; it’s “the vine that ate the South” so eat it before it eats your landscape. 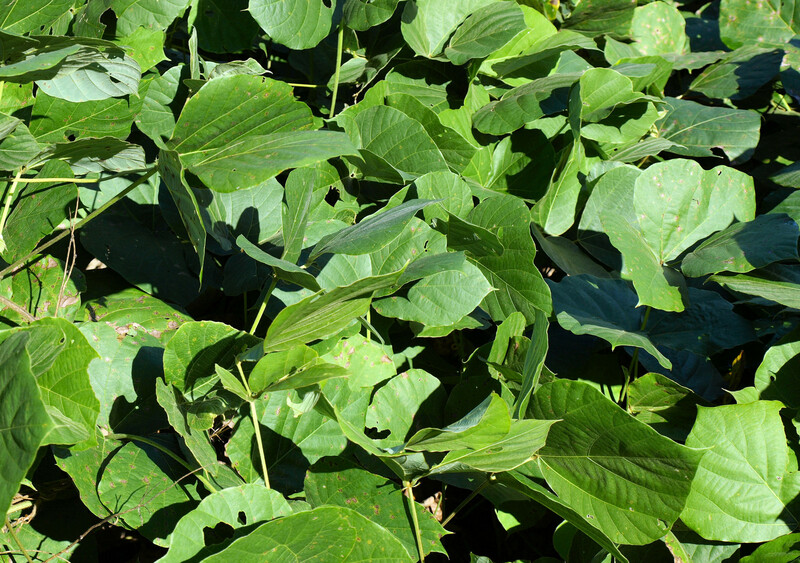 Kudzu was introduced to the U.S. as a forage crop for cattle in the 1930’s. While the plant currently has a limited distribution in the western United States, this is an invader to keep a close eye on. With a growth rate of a foot per day, it’s one of the fastest growing plants in the world. And, even worse, it smothers everything it grows on including large trees and, as the America South can testify, it is able to cover vast areas seemingly overnight. Luckily, most of the plant is edible. Stems, leaves, flowers and starch from the root can all be used in cooking. 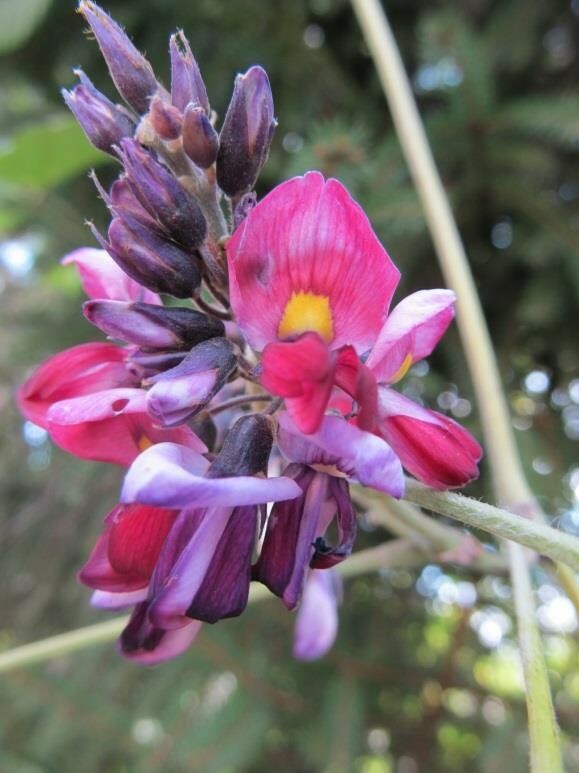 In Asia the flowers and roots are used medicinally. The flowers are quite exquisite, but don’t let its beauty fool you; it’s “the vine that ate the South” so eat it before it eats your landscape. A special thank you to author and ecologist Corinne Duncan and Karen Monger of The 3 Foragers for their content contributions to the Kudzu Introduction. Molly notes that kudzu’s delicate purple flowers have a fragrance reminiscent of grapes which may be used to make this unique jelly. Spoon the jelly over cream cheese, or melt and serve over waffles and ice cream. Yummy! Wash kudzu with cold water. Drain well and place in a large bowl. Pour 4 cups boiling water over the blossoms and refrigerate overnight (or 8 hours). Note that the blossom liquid is gray until lemon juice is added. Strain the resulting liquid through a colander into a Dutch oven, discard blooms. Add lemon juice and pectin and then bring to a rolling boil over high heat, stirring constantly. Stir in sugar. Return to a full boil and stir constantly for one minute. Remove from heat and skim away foam with spoon. 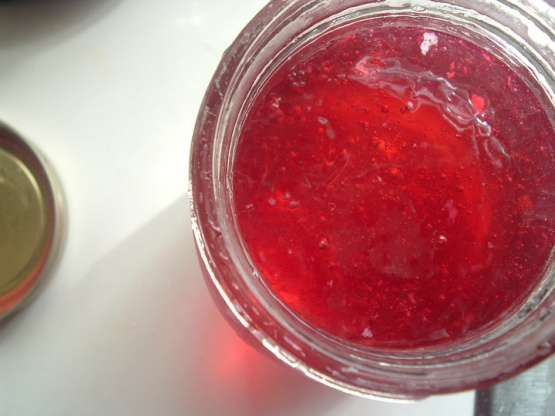 Quickly pour jelly into hot, sterilized jars, filling to ¼ inch from top. Wipe jar rims and cover with metal lids and bands. Process in boiling water bath for 5 minutes. Cool jars on wire racks. Molly notes that when cooking with kudzu, choose only the smallest, most tender leaves. Large leaves are too tough. The small leaves have plenty of body, are fresh and tender, and have a flavor similar to that of a green bean. Combine all ingredients and mix well. Gather medium size young kudzu leaves (the very big ones have tough center and radiating stem veins). Wash leaves. Drop into salted boiling water. Blanch for 2-3 minutes, separating leaves. Drain and remove to a plate to cool. Remove heavy center stems from the leaves by using a knife and cutting down each side of the stem to about the middle of the leaf. Mix all the stuffing ingredients together. Push cut together and fill with 1 teaspoon stuffing and roll in the shape of a cigar. Place something in bottom of a large pan so that rolled leaves will not sit directly on the bottom of the pan. The round rack that comes with a pressure cooker works very well (soup bones also work well). Arrange kudzu rolls alternately in opposite directions. When all are in the pot, pour in tomatoes, salt, and garlic, cut in half. Press down with an inverted dish and add water to reach dish.